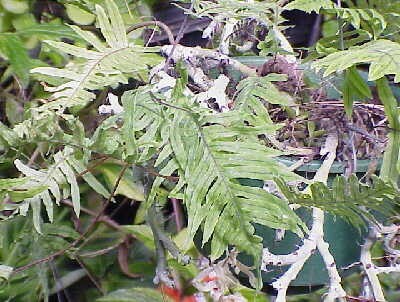 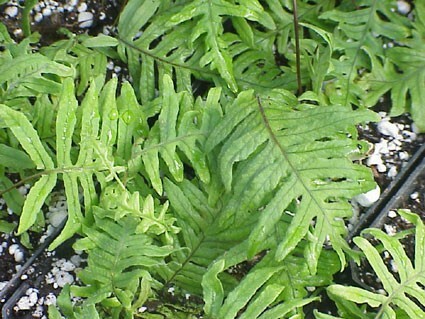 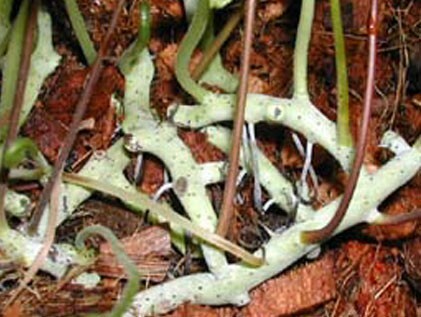 The "Naked Rabbit Foot Fern," so called as the small bright chalk white rhizomes are not furred but seem to flow over the surface, dividing like "E.T. 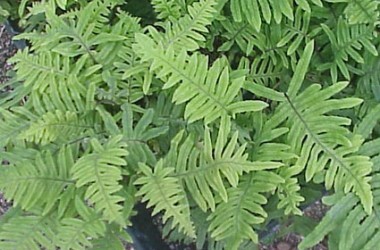 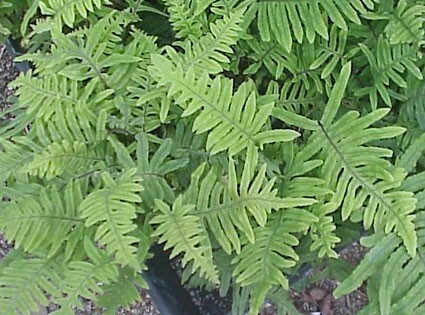 's Fingers" under a very low canopy of beautiful delicately lobed bluish fronds. 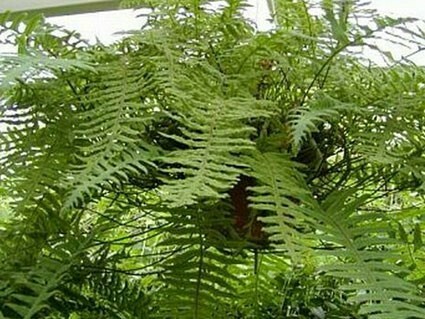 Easy once established--a tremendous performer on a mossed topiary globe..